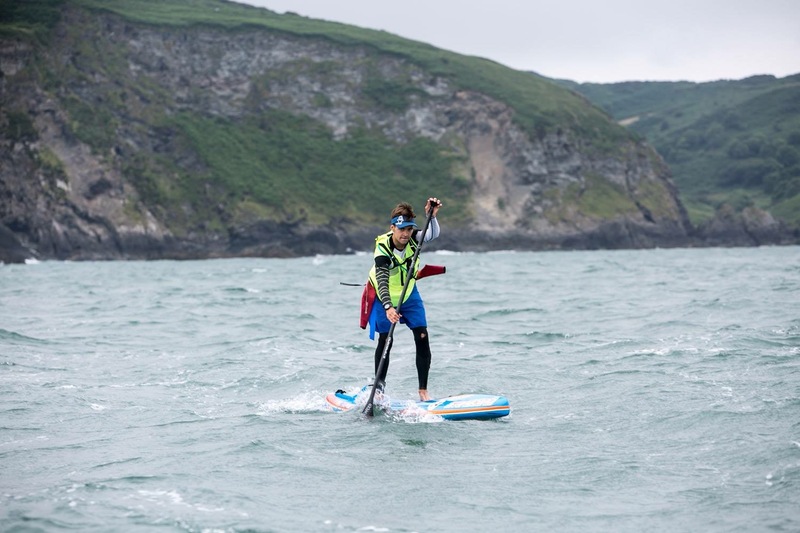 Ben Pye is Starboard UK’s young gun paddler who’s as keen as bean and looking to make a name for himself within UK SUP. Starting his journey as a paddle surfer Ben quickly crossed over to the race scene and now mixes his time between the two. SUPM caught up with Ben for a natter. When did you discover stand up paddle boarding and what appeals about SUP? I got my first taste of SUP in 2008, in Tenerife. Nigel Howells had an 8’0 custom even back then. 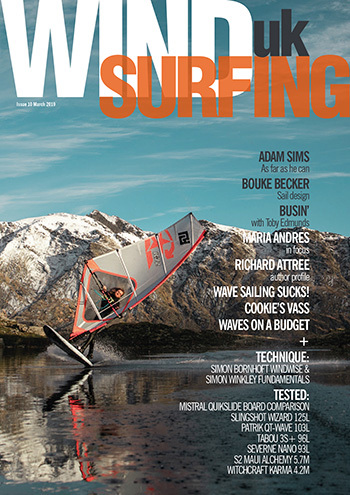 I had a go, and I wasn’t hooked straight away, and didn’t have much interest really, as I was into shortboard surfing. Fast forward to 2012, we were on holiday again in Tenerife, staying in the small town of El Medano for some windsurfing and kiting. The waves were too small to surf my shortboard and dad had his SUP with him, a Starboard Pocket Rocket. I took it out because I was going crazy without any waves, and from then on I was hooked! For me, what appeals about SUP surfing is the challenge of surfing that bigger board, it makes it much more fun. With the bigger board, you also get to catch far more waves and you can ride any size waves and make it fun. The part of SUP racing that appeals to me is the community within SUP racing. Everyone is loving it and pushing themselves, but also the sport! Everyone is cheering each other on, and it is a great vibe. It’s also the addiction of speed for me; I just want to go fast all the time! I am hooked on the glide. Did you find it easy to learn or was it an uphill struggle? Fortunately, I picked it up pretty quickly – and for the rest of the holiday I didn’t touch the surfboard! SUP was all I wanted to do. Which area of the sport do you prefer? You race and paddle surf but is there one part of SUP that’s more fun for you? At this moment in time, and at my age, I don’t want to have a favourite – and I don’t. I enjoy both equally. I am also looking this winter at pushing my white water experience. I had one session last winter on the river with Channel Adventure. I love learning new things! Downwinding is also a really fun discipline. Tell us about your aspirations and goals – how far do you want to take your SUP career? I would love to push my paddling to a professional level. I have a dream to one day compete in the Euro Tour and the Stand Up World Series. How many events have you competed in to date and what’s your best result so far? I started competing in racing last year as a junior, raced at Battle of the Rock in Jersey, Carbis Bay Euro Tour, N1SCO Worlds, Exe Hammer, Waterborn UK SUP Clubs and Watergate SUP Surf Nationals, and enjoyed them all immensely. This year, although having only just turned 16, I decided to compete in the men’s events, as I felt it would push me more. In the UK SUP Clubs Series I have competed in Battle of the Thames (coming 6th 12’6), BaySUP Technical (2nd 12’6) and Lake Windermere (2nd 12’6). I also competed in the ICON Downwind Race in July and finished 1st 12’6, and the only junior to enter. Do you think you could mix it up with the international big guns? If so do you have any plans to compete internationally? That’s all I want to do. I can’t wait. No plans at the moment, but maybe next year! 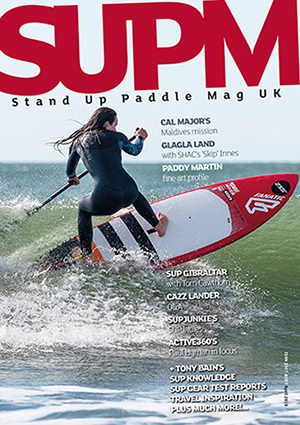 Where do you see UK SUP in the next few years? Do you think there’ll be a defined pathway for you paddlers like you anytime soon? I think there will be massive growth in numbers and events. Will SUP be bigger than surfing do you think? Who knows? It’s looking pretty good at the moment. Some North Devon breaks on a good day are getting to 50/50. Surfing and skateboarding recently got accepted into the Olympics. Do you think stand up will follow? If it did get in, would you fancy a shot at a medal? I definitely think stand up racing has the potential, maybe a 200m or 1000m like flat water kayaking and canoeing. It could all happen on the rowing lakes. The Olympic Games are the pinnacle of any athlete’s career. A shot at a medal at the Olympics is a dream for me, and it would be a super awesome achievement! Stand up surfing unfortunately I cannot see coming so soon, maybe I am wrong? How much training to do you do? Or is it more about simply getting out on the water and having fun? Never as much as I would like to due to time. It’s always fun on the water whether training, surfing or competing. For surfing, the awesome Starboard 7’4 Pro combined with the Starboard Enduro carbon paddle. It’s a surfboard you can paddle. For racing, the Starboard 12’6 x 25.5 Race. It’s a morph of the Sprint and the All Star. Combined with the insane Starboard Bolt race paddle. It’s the perfect combination for me! How did your sponsorship deal come about and what do you have to do in return? I was fortunate enough to be in the right place at the right time, at the right age. In return I get to ride the best boards in the world. Thanks Starboard! Do you do any other sports outside of stand up? If so what are they and how do they help with cross over training – if at all? I compete at swimming regularly. 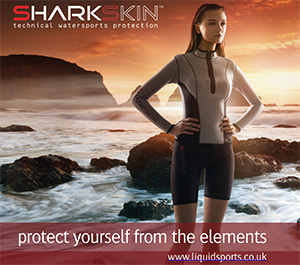 I also mountain bike, road bike, windsurf, kitesurf and shortboard surf. Who are your SUP heroes and why do you look up to them? Zane Schweitzer, Connor Baxter, Sean Poynter, Peter Kosinski, Marie Buchanan, Ollie Shilston, Jo Hamilton Vale – too many to list. All push the limits of the sport and are great role models for myself. Tell us about your overseas SUP travel to date. Where’s your fave global paddling spot? A spot up North in Tenerife I can’t name, or they won’t let me back. What about at home – any place you wish you were at more often? North Devon Rivermouth reef break. 20 minutes from home. World renowned. I really like to push the SUP scene there amongst the heavy localism of shortboarders. If you were giving advice to any young up and coming paddlers, what would you say? Enjoy it and push yourself. Sometimes it isn’t all about competition. Crispin Jones, Scott Warren, Glenn Eldridge, Andy Joyce. All have helped me along the way and have achieved great things themselves. Scott Warren of course, Starboard SUP UK, Standuppaddleuk, Marc Hambidge, West Country Surf Wax and everyone from the previous answer. The Jersey crew and the St Ives crew also have helped me a lot recently.